I try to stay out of the drama in the Avian Community so that I can focus purely on the sake of what is best for the birds. 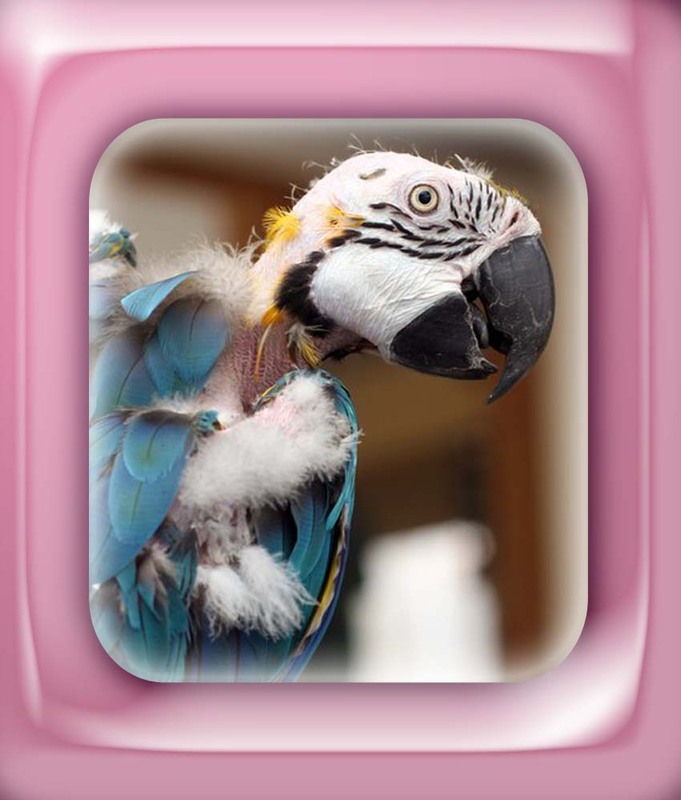 Sharing proper avian care and promoting the groups and rescues that are out there trying to help make a difference. 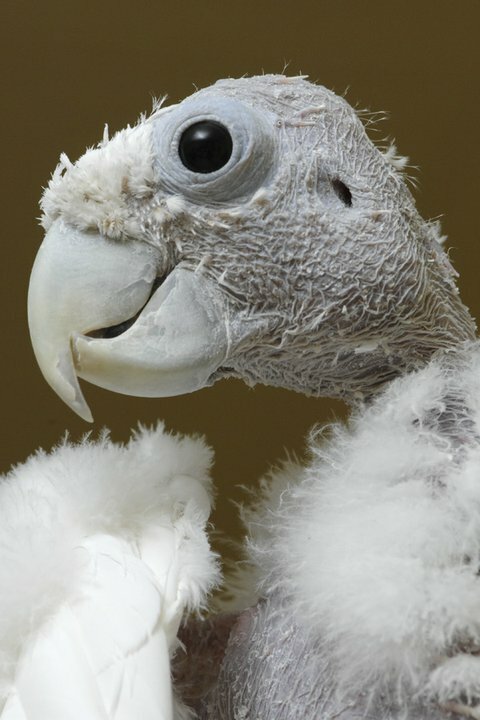 My beliefs in the proper care of Parrots is clear and while I will not pretend to have all of the answers, I also know clearly what is acceptable and what is not! I will not support or defend a rescue or person that has shown they have little or no regard for what is best for the birds in their care. Not saying that one has to be perfect, but at least trying to do their best and open about the situations that need fixing in order to provide the very best for the birds they are rescuing. Sadly there are those who claim to be doing the work of “saviors” and all the while their intentions are less than admirable. To these people I can only pray that the birds in your care are not suffering due to your own inflated egos. Those of us in the Avian World should have only one focus and that is what is best for the Feathered ones! 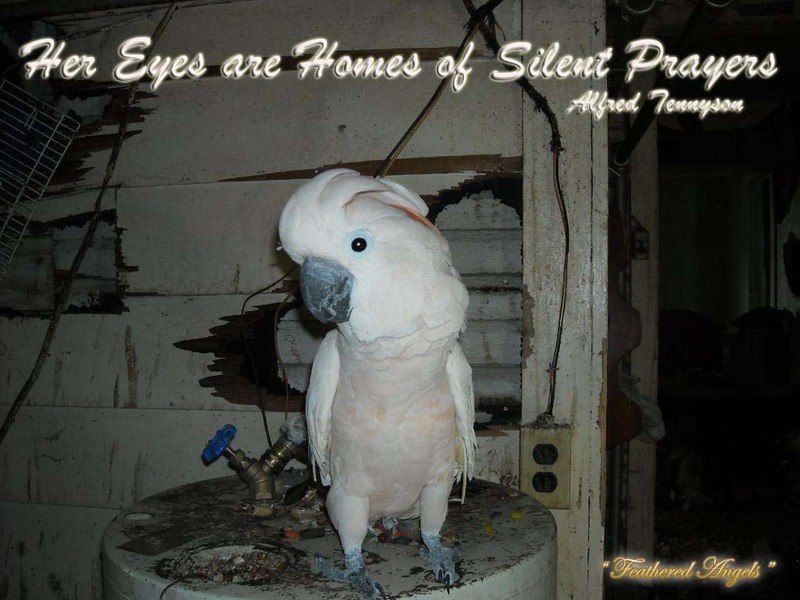 Our focus should be on those who are quietly and diligently working to promote and care for all the homeless parrots. The ones who are not in this for glory and their hearts are committed to making a better life for the feathered ones that are discarded. Legitimate Rescues do not need to defend themselves because everything is in the open and legal. They are open to suggestions and ideas. 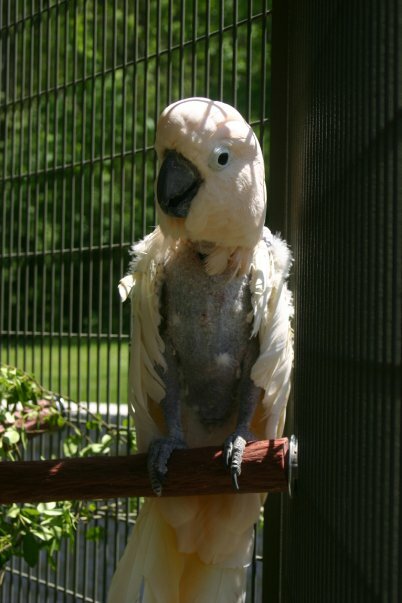 The birds are in clean, safe disease free environments with the proper protection from the elements. They feed proper diets and provide vetting on all birds. The birds get flight time, playtime, have toys and constant supervision. They have backup plans in case of emergency. They have the finances to fund and care for all of the birds they take in. They might need occasional help with an unexpected vet bill, but they do not constantly take in more birds and then continually ask others to help fund their care. What I have seen most recently is so disturbing, is this who we want to be viewed as? Is this going to help the birds who need us so desperately??? Take a step back and think about how this looks to those we are trying to accept and understand the Unwanted Parrot Crisis! While I also believe that bad rescues should be exposed and closed down, it needs to be done in a proper manner. Legal steps taken and done so quietly. No I am not saying that we pretend to be accepting of places that are run poorly, but we also do not have to be ugly and childish. This does nothing to help the Parrots who are depending on us! In the last few days I have seen some who have stooped lower than I thought was possible. I have seen people using the deaths of children as a way to attack a parent from the opposing side. I have seen foul names slurred so casually that it made me wonder about the ethics of these people and how they talk in front of the birds in their care. I have seen people making fun of others with handicaps and making sexual slurs. I have seen religion being used as a weapon. I have seen some ugly comments about age, lack of beauty and many more things that has nothing to do with caring for birds…..seriously? If these people care so very little about humans and their feelings, what kind of regard do they have for the birds that they are supposedly caring for and cannot speak for themselves??? When I see people who are behaving in such an ignorant manner and hurting anyone who questions them….then I truly have to question their own integrity and what they are hiding. One can only wonder about their ability to show love and kindness to the birds. I beg of you to not allow this type of behavior to continue or grow. Ignore those who behave this way. Don’t allow their hatred to be spread. When people are busy spreading harmful things about others…it most likely is to distract from their own short comings or improper conduct. Truly makes me wonder about the skeletons in their own closets. I personally will not associate myself with these types. I will not have them as my friends or allow their vile attacks to be part of my life. Sadly I have seen some… but I know there is a lot more that thankfully I did not have to witness. What I did see was enough to make my heart ache. I am here to fight the good fight for the birds, this type of behavior will only harm our chances of making a change for them. Is this what you want to be part of? Not sure who to believe??? If someone is using foul language and name calling, is that really someone you wish to be associated with? If someone is posting harmful photos of another, is that really someone you wish to be associated with? If someone is wishing death on another person, is that really someone you wish to be associated with? If someone would use the death of a child to hurt someone, is that someone you wish to be associated with? If someone is making fun of those with mental or physical handicaps, is that someone you wish to be associated with? And take a look at the supporters of these people, the ones laughing at these harmful things being done, what kind of people are they? These are people who are professing to love and care about birds…how can that be true if such ugliness is coming out of them??? But in all honesty, there shouldn’t even be a question. A good rescue is not going to get themselves involved in such things, they have far better things to be worrying about and taking care of the feathered ones is their prime goal and concern. Please don’t misunderstand, we MUST all defend what is right and not be afraid to take a stand! I just believe that there are proper channels to go through and we can still be dignified and keep our integrity. Don’t allow yourself to be drug down to the levels of these horrible people, or you are no better than them. I decided to keep names out of this post, simply because that will NOT help the issue and once again only further hurt the cause that we ALL should be focusing on. I also refuse to give any credibility to those who are out there wasting time, spreading lies and hurting people. Because in the end….Who Pays the Price??? Totally agree with you. I’ve been there and have seen first hand just what they do. It’s a shame. Thank you Deborah for taking the time and the compassion to speak out about this. The childish and cruel behaviour that can happen (in any community) never helps. Never, ever, ever. I hope that at least one person reads this and chooses not to be part of the drama and games. If even one person sees this hatefulness for what it truly is and walks away from that group…then I will be extremely happy. Love you Deb. A voice of reason in a crazy, crazy world. Hugs. Right back at ya hun! All I can think that is a fraction of the energy expended with hatefulness was being expended for something positive and useful how much good could come of it? I always believed in being positive and seeing it play forward….is so much more rewarding than being negative. It is so disturbing knowing that there are people out there doing bad, mean things and thinking and believing it is okay…..because it is not. Before reading this I went to one of the bird groups I was in and basically said I was leaving the group due to this behavior. I even said that it should be about the birds and not the childish behavior. Beautifully written! I have not read all the slurs you speak about because I do chose not to associate with those who find that the only way to make an impact is to demean and humiliate people. There are two sides to this issue and I can speculate that both side are doing their share of slanderous remarks. We, as a community will never succeed in making change with this mentality. I have gotten to a point where when change is called for, I just read on. There is no soul or credibility any longer within this community. We are just focused on one up man ship and the birds are lost in the translation. So Sad. I appreciate all you do, Deb.. You always put your heart and soul into being the voices for all the feathered babies. If everyone would put the dedication into the well being of the birds, the avian community wouldn’t be so cruel. Well said Deborah. For as passionate as I am about the welfare of birds, what I saw coming from the mouths of many was about as low and degrading as one could get. Have I voiced my opinions a few times? Oh yes I have! But I have never laughed at the loss of someones family member. 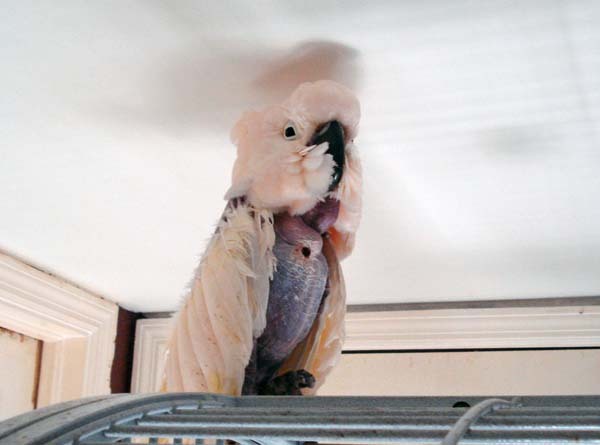 I have never quipped about someones size and questioned that against the care of their birds. I have never mocked someone for their disability. It’s become a whole other level of nasty. So much so I fear there is more time spent on how to belittle or humiliate people than taking care of charges. Sad to say! I couldn’t agree with you more! I removed myself for one group due to this situation. The folks in the group, were very hateful and judgmental. The biggest hypocrite was the “ring leader” for so many avian rescue donations and i just couldn’t believe the things coming out of her mouth. We are all trying to what’s best for THE BIRDS and if we can’t get along as humans, then I don’t think the birds are getting what they need either. Don’t do good things and then expect the gold stars to show up, do good things because it’s the right thing to do. Don’t brag about what you have done, or donated, or rescued. There are so many unknown heros in the bird world because some of us that rescue don’t expect the “pat on the back”. The love and changes seen in the birds rescued are all the reward some of us need. I’ve left pretty much all the bird groups I can. They all leave a bad taste in my mouth. Michael and I talk to knowledgeable individuals about the care of our fids (plus, I bring 25+ years of experience to the table). Proper care, especially diet, is ever-changing, but it’s on us to keep up our knowledge. All the back-stabbing in the world won’t change that, and I’ll try not to add $0.02 when someone’s being negative from this day forward. I try not to, in general, because you’re absolutely right about it saying something about someone’s character if they engage in such behavior. We all have our bad days, and we’re all only human, but this will stick with me. Love you, Deb, and thank you for being the voice of reason in the insanity. Thank you for taking the time to write and post this. I try to avoid all the drama, but even so I have seen to much of this behavior. How do these “people” have the time to spend pursuing this vicious insanity? I play a small part in a larger rescue organization and sure the heck don’t have the time to play these games. On a sarcastic note, I’m surprised the reality show producers have gotten into this. There is definitely enough drama! Deborah, I couldn’t have said it better myself. Everybody has a problem in their life…there is NO exception to this, but to attack others is so disgraceful in the Avian World. And yes, it is the birds who suffer. I love my birds and my dogs with all of my heart, and I always try to do right by them. I don’t care what others think of me, because I know the truth about me. I may not know all of the answers off the top of my head, but if I am looking for an answer, I will find it. Many times there is more than one answer, so I have to use my own judgement. My birds and dogs are my NUMBER ONE priority…period. Many of them didn’t know what love was until they came here, and now that they know what love is, they have happy lives. Plus, they make my life happier too. Well said. The birds come first. We should all work together for their welfare. In reading this makes me not feel guilty about why I left groups, divorced myself from some people even when they do run rescue groups and keep less communique in the Facebook gossip posts. Thank you for writing this. Deb, thank you so very much for your words of truth. 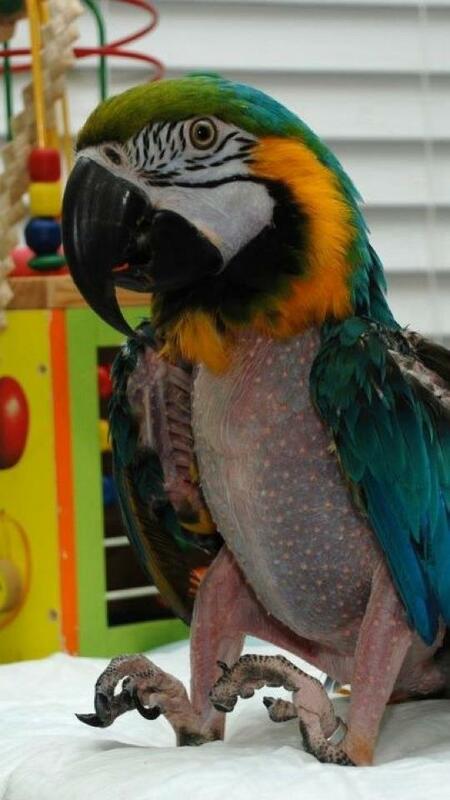 During the course of these bitter and hateful Facebook bird/parrot wars, in the end, the birds are the ones to suffer. The focus is no longer centered on helping them; rather it becomes more important for people who cannot agree to disagree to go after each other. No matter what the fight is about, no matter who hates who, no matter what the plan may or may not be: the birds must be the focus.